A physically fit body is typically the result of good health habits, such as eating healthy; regular exercise; and help from a professional in the health industry. In contrast, if we have poor health habits, such as eating unhealthy food every day; little or no exercise; and no input from a health professional, the result generally is an unhealthy physical body. Financial fitness tends to follow this same pattern. Financial fitness is typically the result of good financial habits, such as paying ourselves first, and making savings part of our regular financial routine; not living above our means by not spending more than we make; and having a financial professional guide us along our financial path. In contrast, if we have poor financial habits, such as not saving any money; accumulating too much debt; and not receiving any input from a financial professional, the result generally is poor financial health. Financial fitness is simple, but there are some basic principles to live by. One basic financial fitness exercise is the appropriate handling of debt. One major hindrance to financial health and fitness is the accumulation of debt. Debt is considered to be anything that money is owed on, and there are different types of debt. For example, there are revolving debts and installment debts. Revolving debt typically refers to credit card type debt, which would also include department store cards. This debt changes from month to month, as the user spends money or makes payments on the card. In doing so, the user either increases or decreases the amount of debt that is owed, as well as the remaining credit available on the card. This type of debt offers more flexibility to the user, as they can use it to buy items that do not cost too much, and would be considered unsecure purchases. 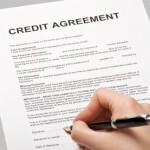 Installment debt is a set loan that has a preset schedule of payments, and the payments tend to be of an equal amount. This debt exists until the principal and the interest are fully paid. Examples of this type of debt would be a car loan or a mortgage on a home. With this debt, the purchases tend to be larger, and they also offer the user stability, as each month they know what amount they will have to pay. These purchases are considered secure. In 2011, the Federal Reserve indicated that the total amount of consumer debt in the USA totaled close to $2.5 trillion dollars. This would equate to $8,100 in debt for every man, woman and child that lives in the US. This amount of $2.5 trillion dollars does not include real estate or mortgage debt. The $2.5 trillion dollars of debt breaks down as follows: 36% is revolving debt, which is credit card type debt; and the other 64% is not revolving debt, which would include car and student type loans. What do all of these statics mean to you? Consumer debt is at an all time high. But you do not have to be part of these statistics. You can make the decision to be different. Debt will pull you further and further from your financial fitness. Debt can affect your physical well being, as it has been known to cause stress and your kids will look at you and follow the example you are setting with money. If you do not understand your debt, and you do not take control of it now, who will do this for you and your family? If you plan to begin your road to financial fitness, you must take action now and take control of your debt. The first area to focus on is awareness of how much you owe on all your individual debts. • Then tally all the debts you have together. Once you have pulled out all your debts, add the amounts for each debt that you owe, in order for you to know what the total amount of debt is that you are currently carrying. The next step is to look at the type of debt you carry. You can separate the revolving and installment debts into two categories. After you have seen what type of debt you are carrying, and how much you owe, the next important step is to look at the interest rates for all of these debts. The interest rate plays a role in the amount of money paid out monthly, yearly, and for the lifetime of the debt. • For this step, you must look at the interest rates for ALL the individual plans. Therefore, if you have 3 credit cards, you will need to look at the interest rates applied to all three cards. • Visit dfs.us.dell.com/Documents/estatementRedesign.pdf to view a sample credit card statement. In the last section of the document, called “Interest Charge Calculation”, the fifth column reads Annual Percentage Rate, and it lists it as 13.24% annually. This is the annual interest rate charged per year for this credit card. Your statement may look slightly different, but this gives you an idea of how to read your statement, and how to find out your interest rates. It is not simply enough to know how much you owe on all of your debts, as you saw in Step 1. You must also know how much you pay per month for all of your debts. Whatever money you are paying out to financial institutions is money that is not being saved towards your family’s financial future and the goals and dreams you have envisioned. • Plan out the way you are going to pay off all of your debts, in what order you are going to pay them off and how long it will take you to be debt free. For this process, it is ideal to work with a financial professional who can help you develop the best plan of action to get you out of debt in the quickest way possible. The financial professional can customize the plan to best suite your needs. While developing a plan to get out of debt, remember to have deadlines in place. For example, if you have 3 credit cards, identify with your financial coach which card to pay off first, and then have a deadline for when this card will be paid off. If you achieve your goal by the established deadline, reward yourself, for example with an ice cream. And if you fail to meet the goal by the established deadline, punish yourself, for example by not watching any television for a week. The most important step for Debt is the Action Step. This is where you put into practice the knowledge you just acquired. The Action Step for Debt is to decide today that you will not go to bed without evaluating your debt. Most people never put a plan together, because they are waiting for the moment when they have the perfect plan. A plan, any plan, is better than no plan at all. And it is time to take action today. Spend time before you go to bed listing your current debts in as much detail as possible, including how much is owed on the debt, and how much is paid monthly on the debt. Then make the decision to find a financial professional who will help you begin the process of creating a plan to get out and stay out of debt. It may have taken you years to accumulate the debt. Therefore, getting out of debt will not be an overnight process – do not become disheartened when it is not paid off in a month. As you develop your plan to get out of debt, also include a punishment and reward system. Once you pay something off by the deadline you put in place, give yourself a reward. For example, if you pay off your credit card by the established date, you will treat yourself to a piece of cheesecake. And if you do not meet your goal of paying it off by the deadline you established, punish yourself. For example, if you chose to spend the money on something else, rather than applying it towards the credit card payment, which in turn made you miss your pay-off deadline, you can decide to not watch television for an entire week. Create and follow a plan and start getting out of debt today!! !